When we first saw the iPhone ad, we all thought we’d never ever have to buy another product to enjoy our music. Boy! What an illusion that turned out to be! Just like almost every other product created by the big evil corporations who only want to make money by selling people products that require them to buy even more products from the same line to enjoy the first purchase, the iPhone too turned out to one such supposedly all-encompassing device that sadly fails to satisfy us just by itself. 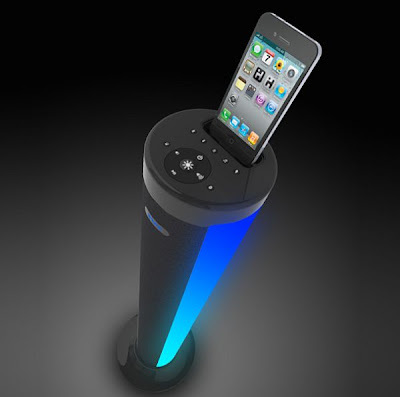 Not only are there a gazillion other products/ apps that claim to make listening to music on the iPhone a better experience than the included headphones/ in-built speaker can give you, the iHOME iP76 LED Color Changing Speaker Tower too is one such creation that claims that it can enhance your iPhone/ some other smartphones/ music player’s functionality in a way that your expensive home theater unit cannot.